Open Road Films has released the first trailer for director/co-writer Thomas McCarthy’s (The Station Agent, The Visitor) new film, Spotlight. This is somewhat interesting given McCarthy's last film, the critically dismissed The Cobbler, opens in the UK this weekend but is also expected given it was announced the film would have its premiere at the Venice Film Festival and screen at the Toronto International Film Festival yesterday. Telling the true story of the Boston Globe reporters who investigated and exposed the Catholic Church’s systemic cover-up of sexual abuse, this is a film that will both touch on some hot button issues while at the same time being immediately engaging for doing so. This first look at the film offers a solid look at both how McCarthy has executed what is essentially one of the biggest stories of the 21st century as well as the stellar ensemble cast he has recruited. 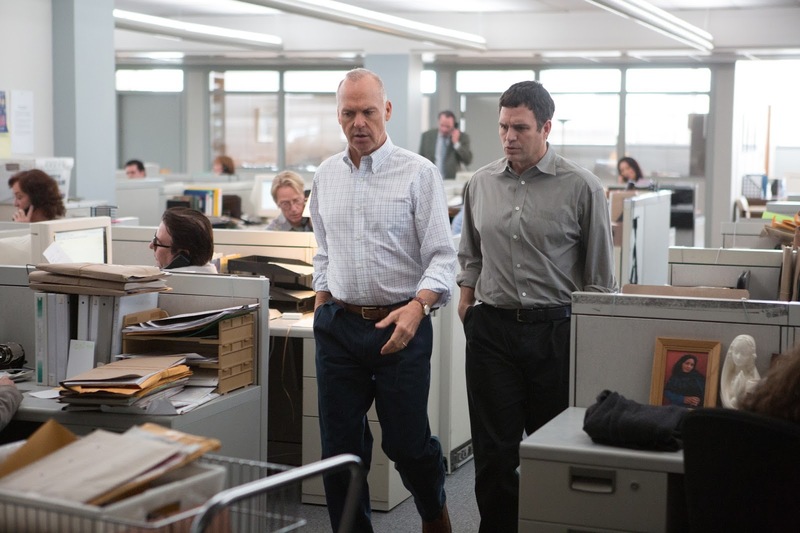 Hot off his Best Actor nomination for Birdman, Michael Keaton will play legendary reporter Walter 'Robby' Robinson while it seems Mark Ruffalo will serve more as the lead in the role of Michael Rezendes, the Pulitzer Prize-winning investigative reporter and political writer for The Globe. Spotlight was co-written by The West Wing‘s Josh Singer and also stars Rachel McAdams, Brian d’Arcy James, John Slattery, Liev Schreiber, Stanley Tucci, Billy Crudup, Paul Guilfoyle, Len Cariou and opens in theaters on November 6th. Synopsis: In 2001, the Boston Globe began an investigation that would rock the city and shock the world. SPOTLIGHT tells the story of that investigation, the story of Marty Baron (Schreiber), Ben Bradlee Jr. (Slattery) and the four members of the Globe’s investigative Spotlight team – Walter Robinson (Keaton), Mike Rezendes (Ruffalo), Sacha Pfeiffer (McAdams) and Matt Carroll (James) – who would sacrifice everything to expose the Boston Archdiocese’s systemic cover up of sexual abuse of children by ordained priests. For years, whispers of scandal were ignored by society, the media, by police and by the legal system. Silenced by shame, victims of sexual abuse often became victims of suicide. For their commitment to truth, the Spotlight team received the Pulitzer Prize for Public Service.